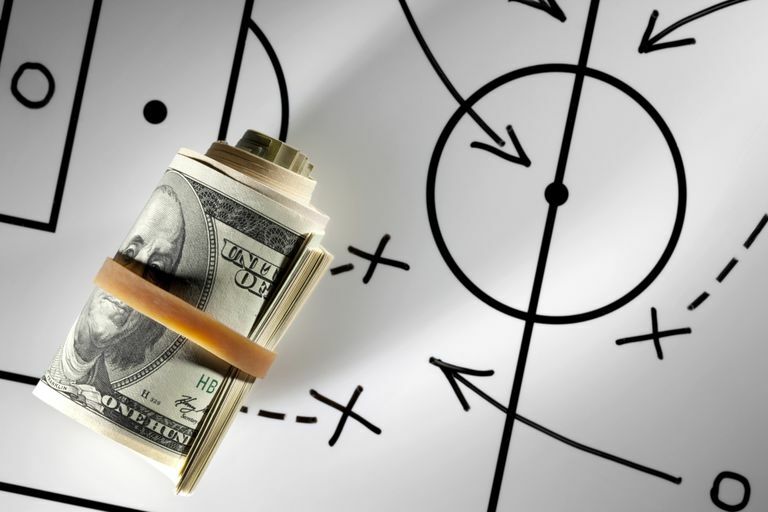 Devised by a team of sports lovers, players and coaches from leading countries, STEPIO™ is dedicated to MAKE YOU WIN — despite it is MORE THAN JUST WINNING. Our cross-border training camps, private lessons and clinics are simply the best available across the globe. Blended with special attention from our professional coaches at selected sports venues in USA, Italy, Russia, Japan, China, South Korea, Hong Kong, Taiwan and New Zealand, we offer the most innovative, inspiring and effective athletic training to benefit your every game. Meet with The Shanghai Pro Foil Team, ever in Hong Kou! 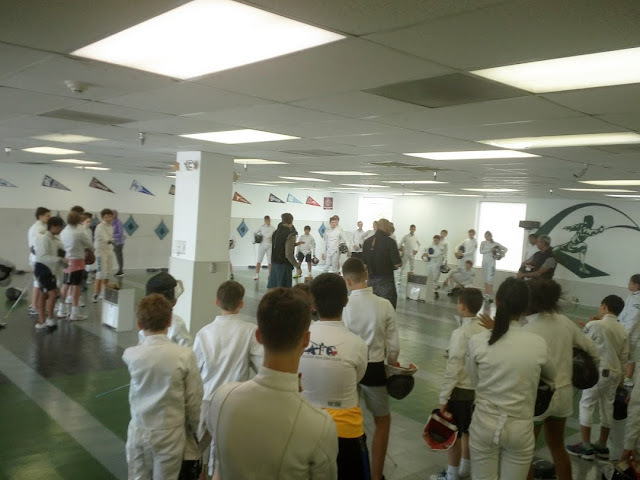 Fencers across the globe is now having a chance to have training with one of the best professional foil team in China -- Hong Kou Mens and Womens Foil Team. As the most reputable city foil team in China, Hong Kou is always an incubator for future national foil fencers, in the most competitve and highly selected fencers among the best. Usually you meet them in national and regional competitions, instead of at their training venue. You will also meet with your idols in China Fencing Arena, Ye Chung, Yuan Li and Chen Biao, who are the legend fencers in the 90s. They have been giving guidance, coaching and advising the Pro Team 365 days a year to ensure that the National Team has the best new blood to select from in consideration of the Olympics nominees. 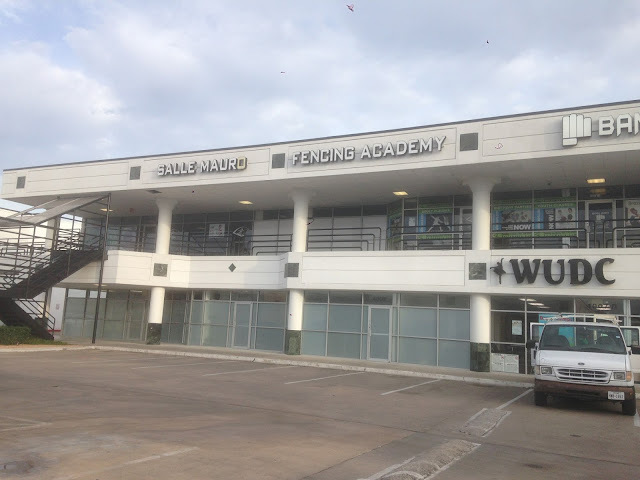 There are 3 events with the ASIA CADET CIRCUIT (fencers born in 2002-2005, as FCA required) in Wuxi, China, Singapore and Bangkok, Thailand in July, August and September. The camps are scheduled based on the ACC Calendar to ensure that you meet your potential opponents before the games. 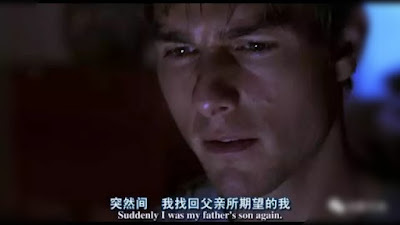 If you miss the chance pisting with them in Shanghai, you would meet them on the stage. The first time ever the Pro Team accepting the idea of exchanging skills internationally will do good to them, rather than harm! 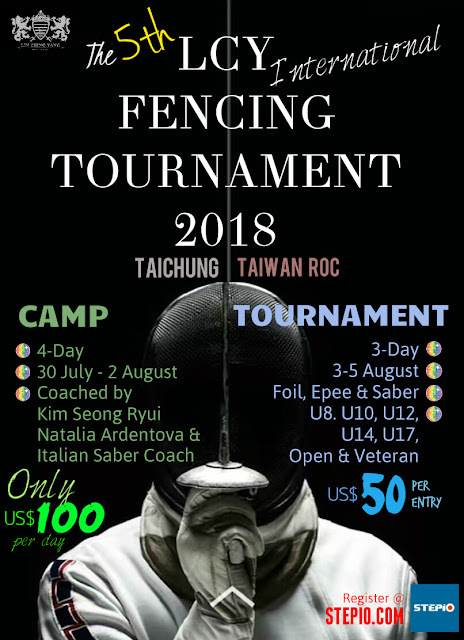 To get the best out of this camp, we also invite the Italian Olympic gold medalist, Valerio Aspromonte, and Russian Nationl team foil fencer, Natalia Ardentova, to fence with you in some of the days in camps. 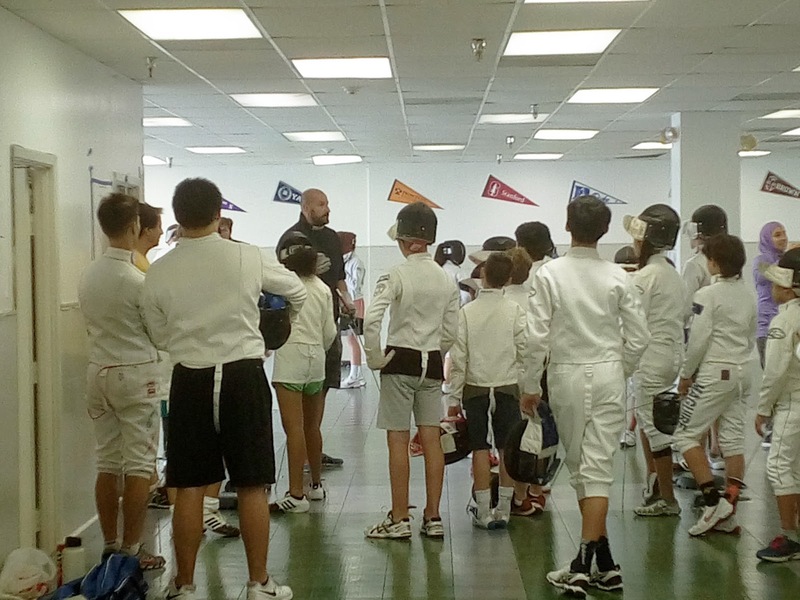 Yes, you are experiencing TOP Italian, Chinese and other national fencing in ONE EVENT! With the closed door approach, this half day training everyday from 2:30pm to 7:30pm, you can have a relax morning to cruise around Shanghai and put yourself in tough, concise, fruitful training in the afternoons and evenings. At night time, the venue will be open till 10pm, for free fencing and private lessons. Well equipped Gym facilties will also open for our campers. You will be gaining skill exchange, understanding China training culture, making new friends with the best fencers in Asia.. Duration : 4 Camps; 5-Day each. 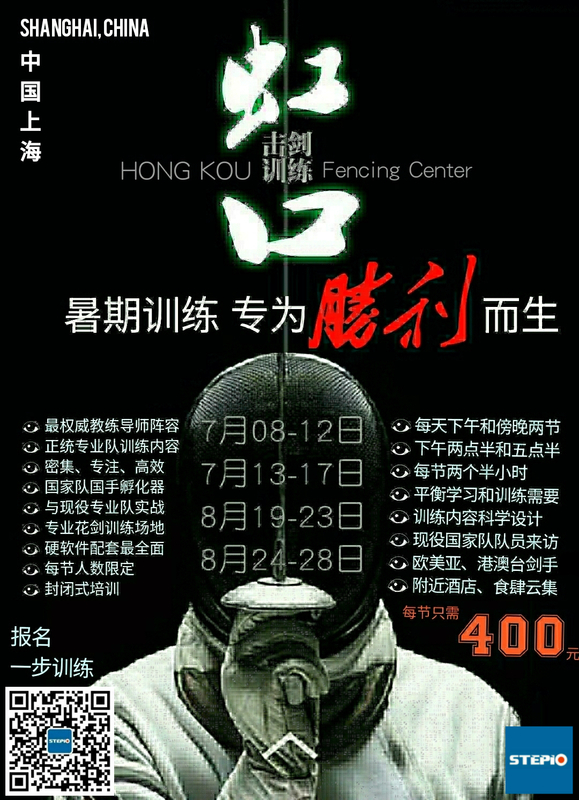 Venue : Hong Kuo Fencing Training Center, 444, Hong Kuo, Shanghai, CHINA. Purpose : Experience and Skill Sharing & Preparation for ASIA CADET CIRCUIT in Summer and Fall 2018. Coach In-Charge : Ye Chung, Yuan Li and Chen Biao, the Shanghai pro team coaches. Local Coach : Leo Xu, coach of Pro Men's Foil Team. Age Limit : Age of 12 (U12) or above. 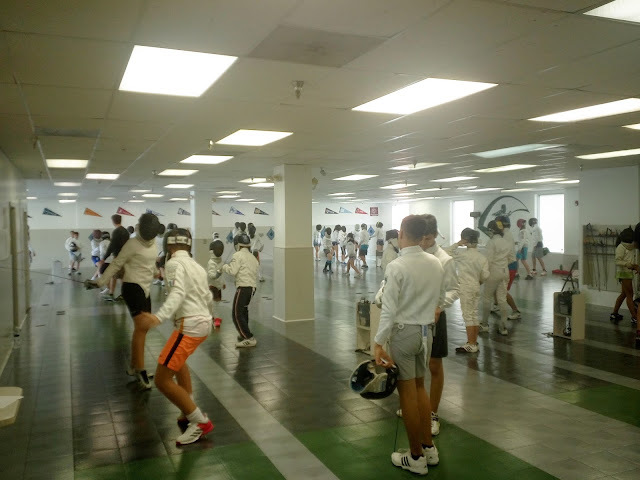 ; ACC fencers in priority. Camp Fee : USD70 per session; USD140 per day; USD700 for 5 days. 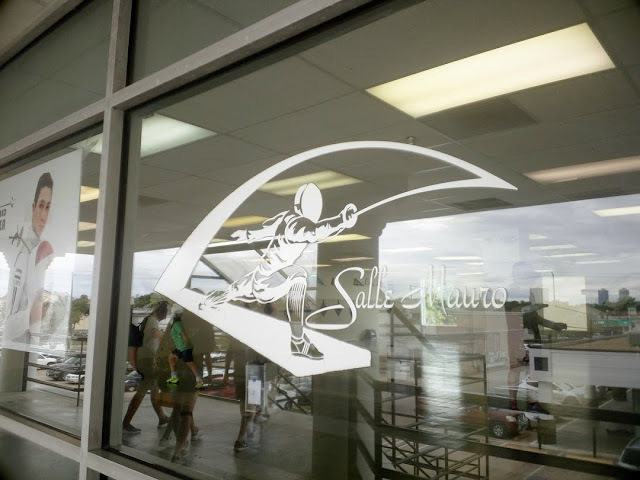 Registration Confirmation : All US fencers to extend the final list of applicants to Salle Mauro FC on or before 30 June; International fencers to extend your registration to STEPIO on or before 30 June 2018.
expenses related to airfare, dining-out, private gathering among athletes, local transports and suveniors are NOT included. 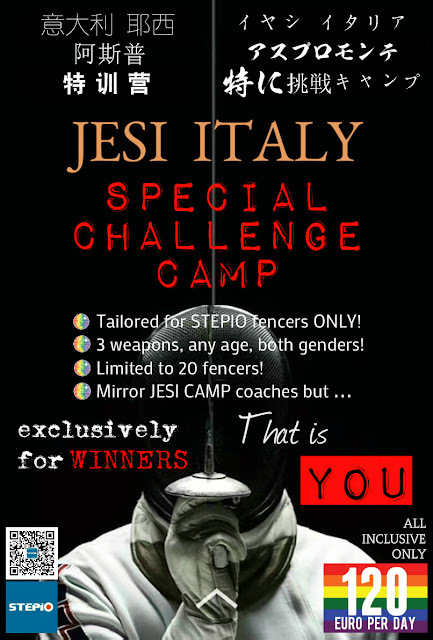 Meet with the TOP Italian Olympic Gold Medalist with 200+ International Fencers in Jesi, ITALY! 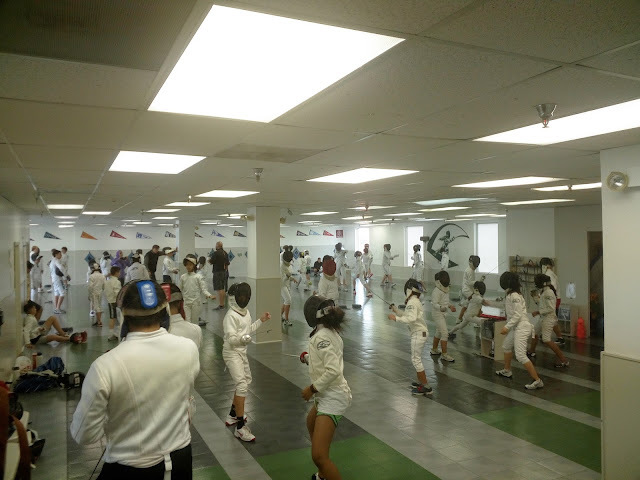 One of the Large Fencing Camps in the World! In 2017, the attended athletes were from 19 countries accommodating 25 pistes! It is the BEST camp hosted in Italy. 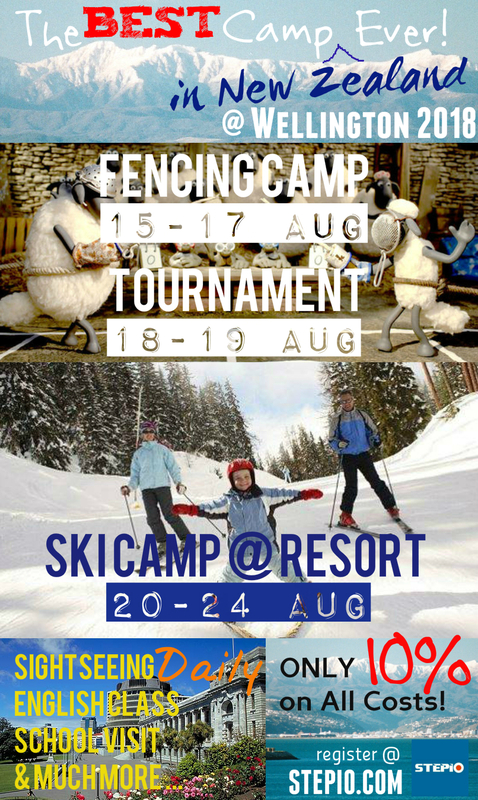 All Italian fencers treat this camp as most promised, most desired and most beneficial camp across the country. Great food, great resort hotel (for parents to enjoy!) and great training for hot, dry summer! 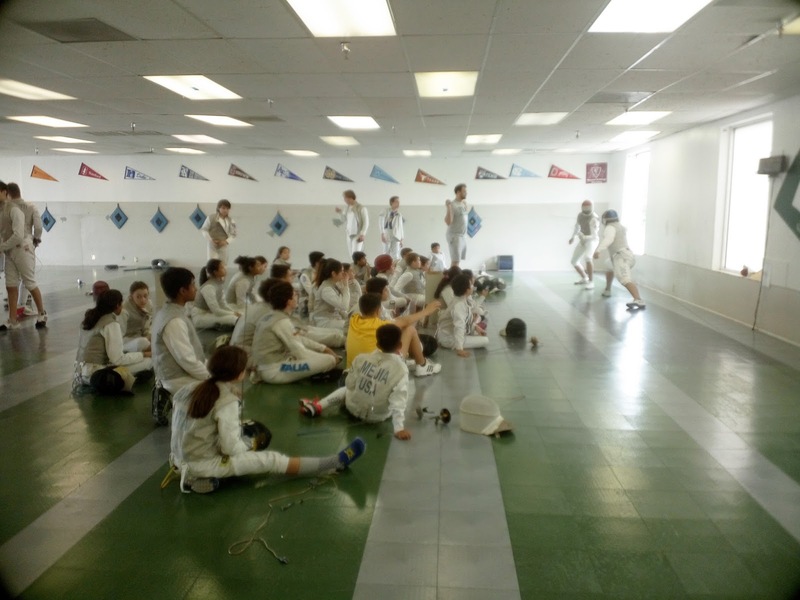 Fencers across the globe is now having a chance to meet with all the top Italian Olympians and World Champions, including Stefano Cerioni, Giovanna Trillini, Valentina Vezzali, Valerio Aspromonte, Elisa Di Francisca, Rossella Flamingo. while joining the Camp with fencers from 25+ countries this year! You will experience what you might ever tried in your fencing years! With the full-day training session everyday from early morning to evening, you will be gaining skill exchange, understanding Italian training culture, making new friends across the globe. Aspromonte and other coaches will show you and discuss with you how to make it all the way to the world rank. The whole trip will be full of fun and inspirative to fencers of all age. Duration : 7-Day total; 30 July - 5 August Camp. Venue : Jesi Sports Arena, Jesi, Italy. Purpose : Experience and Skill Sharing & Preparation for the Agonistic Fencing Season in 2018/19. 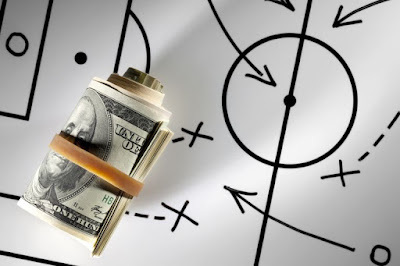 Bonus : FREE one-hour private lesson with the chosen Coach or Coach In-Charge. Coach In-Charge : Annalisa Coltorti, the Italian National Fencing Team Athletic Coach. Coach : Olympic and World Champions - Stefano Cerioni, Giovanna Trillini, Valentina Vezzali, Valerio Aspromonte, Elisa Di Francisca, Rossella Flamingo. Staff : A group of trainers, tutors, support coaches and doctors on-duty. Camp Fee : EUR750 per athlete, including hotel accommodation, buffet meals at hotel and shuttle bus transfer to and from hotel and venue. Hotel : 7-night included; Hotel Federico II or Hotel of Nani; twin bedded or triple or quadruple standard room. 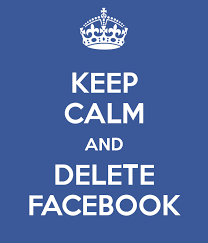 Say NO to Facebook! Act Now! People are fleeing Facebook after it was revealed that political data firm Cambridge Analytica exploited the personal information of some 50 million users. The incident prompted a public apology from CEO Mark Zuckerberg and led federal governments to question whether the site is capable of protecting user data. People are losing faith in Zuckerberg and the empire he built. 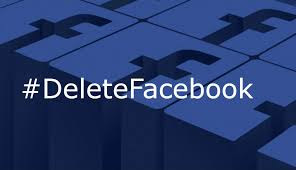 With the #DeleteFacebook in full swing, it’s time to find an alternative app for sharing content, staying close with friends and family, and keeping on top of the news. We see that we have the obligation to protect the privacy of all our athletes who are joining our camps. Actually we never like Facebook at all yet it seems a powerful tool to spread our messages to the athlete crowd. We have no choice to use Facebook to start our business. 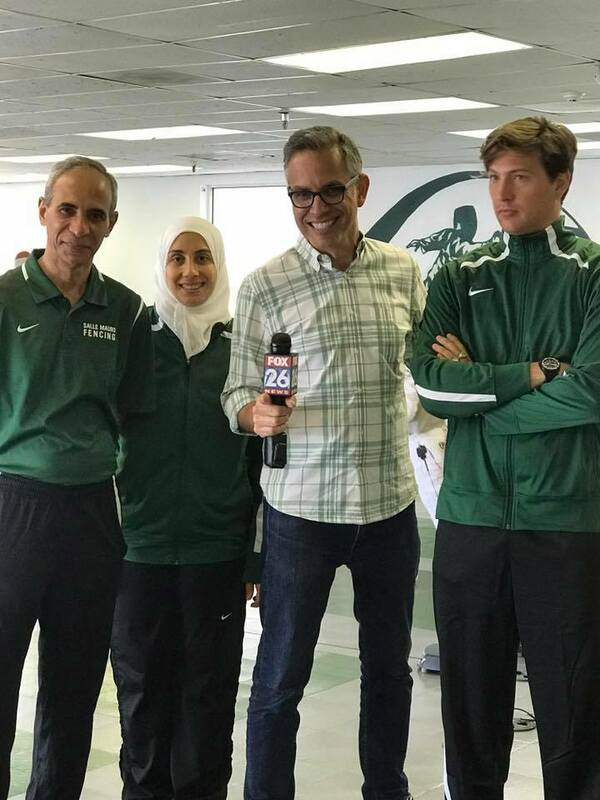 Since we have been organizing quality camps and trainings to our athletes for more than a year, it builds a solid client base for us based on trust and respect from our athletes and their parents. We have a choice to gradually change our social media platform to better ones -- VERO. 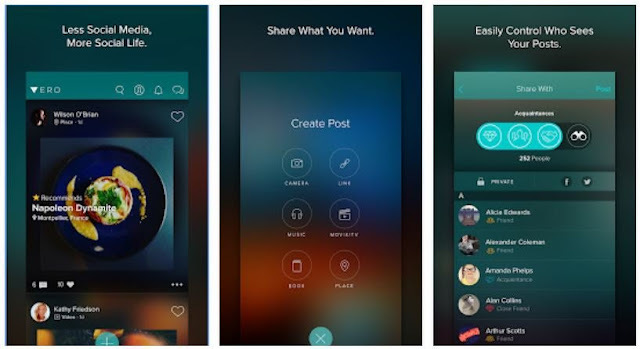 A direct competitor to Facebook, Vero has gained more than 3 million users in the past few months. The platform’s founder says it was made to go back to a simpler time when people followed things that interest them and stayed close to people in their lives. If Vero doesn’t already seem like a reaction to Facebook’s recent failures, the app’s website says it was made to “address digital addiction.” It’s an unrestrained quip at Zuckerberg’s tactics of “exploiting human psychology” to addict users, as two former Facebook executives put it. “As an advertising free platform, we don’t view addiction to our service as a measure of success. We want Vero to enhance your life, not detract from it,” the app claims. On Vero, users can post photos, videos, links, and their current location. They can also recommend their favorite movies and TV shows. The platform’s interface shows content strictly in chronological order, a response to backlash from Instagram’s unpopular decision to use a ranked feed. The Vero app was recently incapable of supporting an influx of users and became essentially unusable for several days. The subscription-based platform responded by giving new users a free lifetime membership. We has started inviting friends and posting blog on VERO, please stay tuned. We are here @ VERO! As athletes' parents ourselves, we have experienced and participated in many sports camps, including technique-learning camp, physical hardship camp, camp/clinic before tournament, camp combined with training & vacation, camp to meet celebrities, camp for making foreign friend and build relationship with the club, camp for learning new tactics and camp to learn from an inspirative coach, etc. Most of those are effective and impressive with whom we got coached from and explored new spectrum of ideas. However, there is always a concern : PRICE! How much camp fee is believed to be reasonable? What are the costs embedded? How much profit the organizer could make out of a camp? Honestly, one of the reasons why there are not many quality camps out there is that the costs to employ a good coach at a nice venue with reasonable accommodation are usually too high and, most of the time, not profitable for an organizer to coordinate a camp -- or the camp fee would be too high for most of the parents to accept. One of the reasons most of the camps are of high fees because of a critical component -- profit margin. It is a business to organize a camp, making profit is a must. However, there is a dilemma : the more the athletes joining the camp, the more profit the organizer can make. Yet, on the same token, the quality of the camp would become lower while more athletes are joining, and less effective the athlete can learn from the camp. Imagine you have the best coach ever in the camp and he has only 5 minutes with you because there are 99 others are queuing. Don't be surprised that it is usually the case if you have more than 50 participants in the camp. Customers are no longer accepting a set price and paying without a question. This approach only happens based upon a closed market and the limited suppliers are of a competitive advantage on some of the costs that customers do not know about but they do. They then take that advantage and make a profit out of it. In Economics, it is called 'imperfect market'. Nowadays, it no longer works this way -- customers can always check all prices anytime, anywhere they want and compare, right at their fingertips. 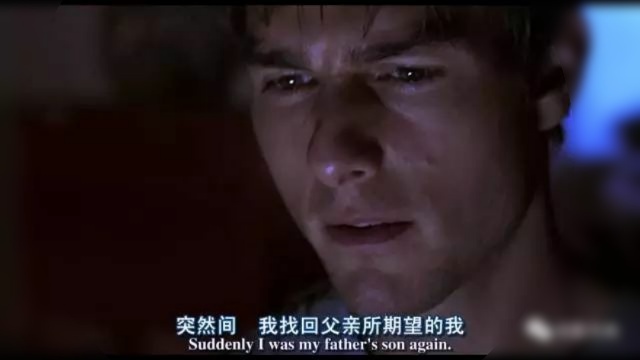 In the movie 'Jerry Mcguire', Jerry, by Tom Cruise, was fired by the sports agency, SMI, because he admitted that the best way to do the agent business is 'less money, less client, more personal attention to clients and their families'. It was obviously an opposite mission to SMI's objective, as to maximize profit. Jerry had no choice but left the agency to start his own business by himself, dramatically with an accountant Dorthy Boyd who was inspired by what he believed. 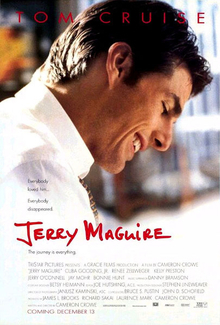 Although Jerry was not really convinced by his own 'mission statement' at the beginning, the reward from 'less money, less client, more personal attention to clients & families' had not yet appeared until the miracle happened to his only client, a NFL player Rod. It always takes time for good things to happen, and most people might have given up their own beliefs and got back to the conventional ways to compromise on what the crowd is doing. Instead of following the crowd, like a traditional travel agency, we adopt the 'open book approach'. Our customers no longer accept a price tag and then take hours to read the fine prints in order to understand what actually covers and what not -- and most of the time you have to 'experience' then you know the 'quality' of the tour, and usually it is too late. If our customers do not agree on a price tag, we simply do not use it! 'Open Book' is a common pricing model for many large corporations to deal with their suppliers, especially on their outsourced services. In the business world, large corporations requires crystal clear on viewing the perspective suppliers' costs in order to appoint a particular supplier to provide the service. It is not just about knowing your partner, but also the compliance on financial auditing and requirements on securities listings in major stock markets. And suppliers are more than happy to tell the corporations how much they make and how they allocate resources to come up with the proposed plan to make things better, to improve the service in longer run. Why not this applies to camp fee? The concern on pricing of such 'camp service' is that customers (usually parents and athletes) do not know how much it costs to make a quality camp. Without knowing the bottomline, customers are not comfortable on any prices they see, even it might already be the lowest possible fee to be charged. STEPIO, as a non-NGO, is running a business for a profit (although as low as possible). We do not mind to tell you how costs are allocated and how much money we make out of a camp. what quality of coach are they expecting? And his/her charge per hour? what kind of food are they expecting for dinner? what star rating of the room they will stay throughout the camp? what kind and condition of the venue are the athletes going to spend most of the day on? what training supplies would be provided? what kind of staff to be appointed to take care of the athletes? etc. etc. Quality service usually comes with a proportional price tag. What we believe is that once we open to our customers the bottomlines, customers are more than willing to pay what they see appropriate. We might have 'less money' and 'less clients' but surely we can offer 'more personal care to clients' -- to offer 'personal attention to the clients and their families'. We charge ALL items AT COSTS, plus a 10% profit. lowest service charge, i.e. our 10% is more-than-enough to prove that we are not a 'shark-in-the-track-suits'. Focus on Quality but Nothing Else! Coordinate the Best Possible Camp but No Second Best! Athletes Always Get the Best Possible Training We Could Reach To! We will try to adopt this pricing approach in our Wellington Fecncing + Ski Camp in August and see how this would change the game! Here is the link to this camp! Hope we could not get into a breakdown, but a Breakthrough!